Urinary incontinence is often seen as an inevitable sign of ageing but that’s not necessarily the case. There could be other causes that can be addressed. And for those who do have to live with incontinence in the long term, there are ways to help manage the condition. Urinary incontinence is defined as the unintentional passing of urine and it’s a problem that can affect both men and women. There are times when this is the result of a short-term condition, but it is also a condition that many people find that they have to “learn to live with” and manage on a daily basis. Many people find living with incontinence embarrassing and don’t talk about it, so accurate figures of how many people it affects in the UK are hard to come by. Estimates suggest that there are between three to six million people in the UK who suffer from some degree of urinary incontinence. The World Health Organisation (WHO) asserts that incontinence is not an inevitable consequence of ageing and that it is, in the main, preventable. It is also a condition that is treatable too. As it is seen as a common problem, however, more so in women than in men, it tends to come low down on the list of medical issues that need to be dealt with. Diagnosing and treating incontinence should be relatively easy but many people carry on in silence, not seeking the medical help that they may need so the true scale of the issue remains hidden. The signs and symptoms of incontinence vary depending on the type of incontinence that a person experiences. This article is not meant to replace medical diagnosis and is for reference only, and we advise that anyone who feels they suffer from incontinence, no matter how mild or light, should seek medical help. Stress incontinence – this can be the source of much merriment and is, in fact, the type of incontinence used in the television campaign for the promotion of pants and pads by a leading manufacturer. This type of incontinence results in urine leakage when you laugh, cough, skip, jump, bounce around on the trampoline and so on. The bladder is effectively under pressure and is not quite able to hold urine in. Urge incontinence – this is difficult to control and for people who suffer from this type of incontinence, it can be distressing and embarrassing. This is when there is a urine leak when the urge to urinate comes on suddenly. It is an intense feeling, described as being unpleasant too. Many people also suffer a mixture of these two types of incontinence too. The reasons for incontinence vary depending on the type. Stress incontinence is usually the result of the weakening or damaging of the pelvic floor muscles. These are the muscles that control and prevent urination. They stretch from the front of the body to the back in a sling-like way. Women tend to be susceptible to a weakened pelvic floor muscles as the result of both pregnancy and childbirth. In terms of urge incontinence, this is when there is over-activity of the detrusor muscles. These control the bladder. As well as pregnancy and childbirth, the other issues that can affect incontinence are obesity, a family history of incontinence and age – although is it not an inevitable part of ageing and neither should it be accepted as such. There are other medical reasons why incontinence can suddenly begin to happen. For example, an undiagnosed urinary tract infection or UTI could be one reason. Or it could be the by-product of another illness that affects muscle control, such as Parkinson’s or Multiple Sclerosis (MS). Understandably, many people are both concerned and embarrassed by their incontinence, no matter how slight. Managing and controlling incontinence is important for own peace of mind and health. Again, a doctor is the person best placed to talk to in detail about the treatment options available. Undergoing an examination may sound unpleasant and uncomfortable but it can be important in determining what the issues are. There is also a whole raft of help and support online, as well as information about what can lead to incontinence and how it can be managed too. Pelvic floor exercises can go a long way in helping to regain better control of the muscles and bladder. These exercises can be incredibly effective and even better, are free and easy to do. There is also a new family of medication that can help people with incontinence – more so when it is a by-product of another illness that is affecting muscle control. Some health trusts also have an incontinence nurse or clinic and these services can be invaluable. 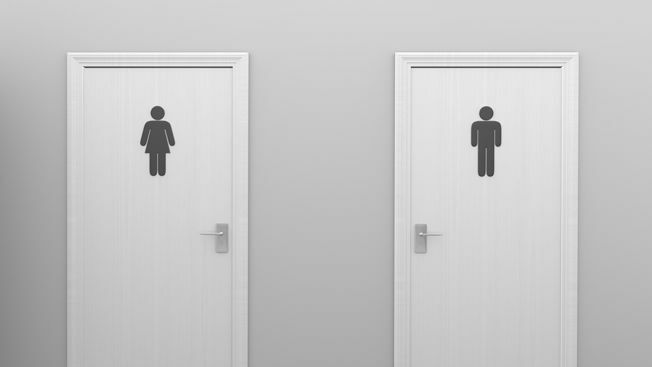 For anyone who has issues with urinary incontinence, however slight, a conversation with the GP could easily find ways to ease any discomfort and embarrassment. For those who will have to live with a level of urinary incontinence there is still good news. There is nowadays a wide range of products available that can help manage the challenge, from light or occasional incontinence to those with heavier continence needs. This article was created with the help of Hartmann, provider of incontinence products. For more information visit the Hartmann web site. How do I help my elderly parent bathe? Don’t miss a single piece of helpful advice. Sign up for our regular free newsletter to read the latest articles from our experts on supporting older relatives and friends. Just click on the box below to join the family.